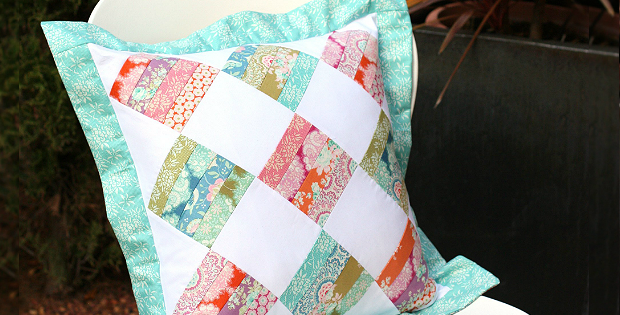 A Wonderful Use of Charm Squares! 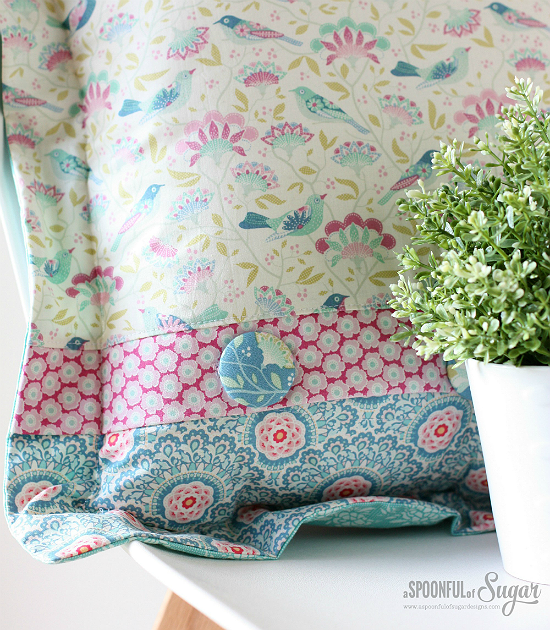 Showcase a beautiful fabric line in this pretty pillow. It will be lovely on your bed, the sofa or a chair. A decorative flange beautifully frames the pieced pillow top. The pieced back has a button closure and is just as pretty as the front. In fact, the pillow is essentially reversible. Choose a lovely pack of charm squares (5″) or use up a pleasing combination of leftovers. The pillow will be charming in just about any color combination, set off by white or another background color. The finished pillow, from A Spoonful of Sugar, is 20 1/2″ x 20 1/2″. 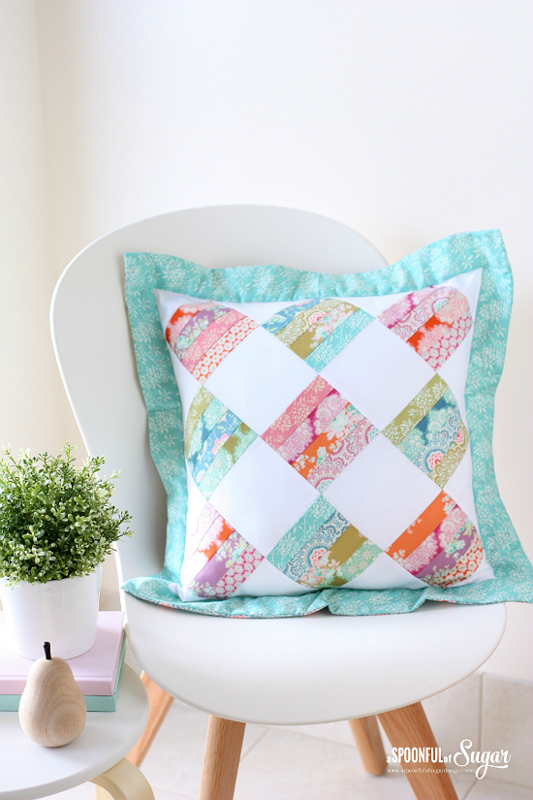 Click here to purchase the “Allsorts Pillow” pattern.